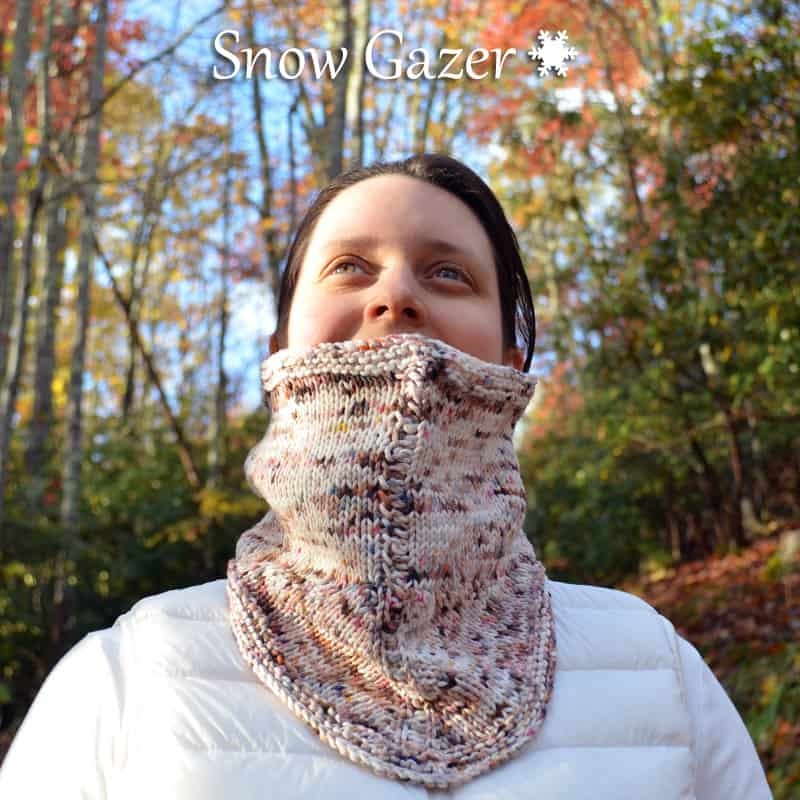 When your exhale turns white as it escapes your lips, the sign foretells of frosty climes and the time to don your Snow Gazer cowl. 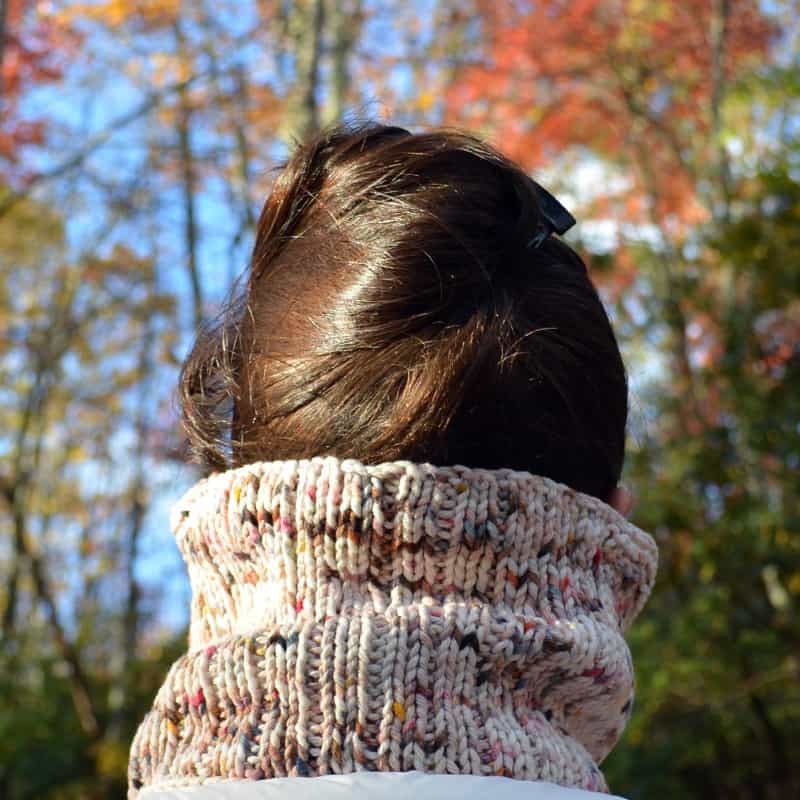 With a radar like shape reaching straight to your heart, your whole neck and chest stay comfy cozy. The unique detail in back adds structure to keep the cowl standing up tall. 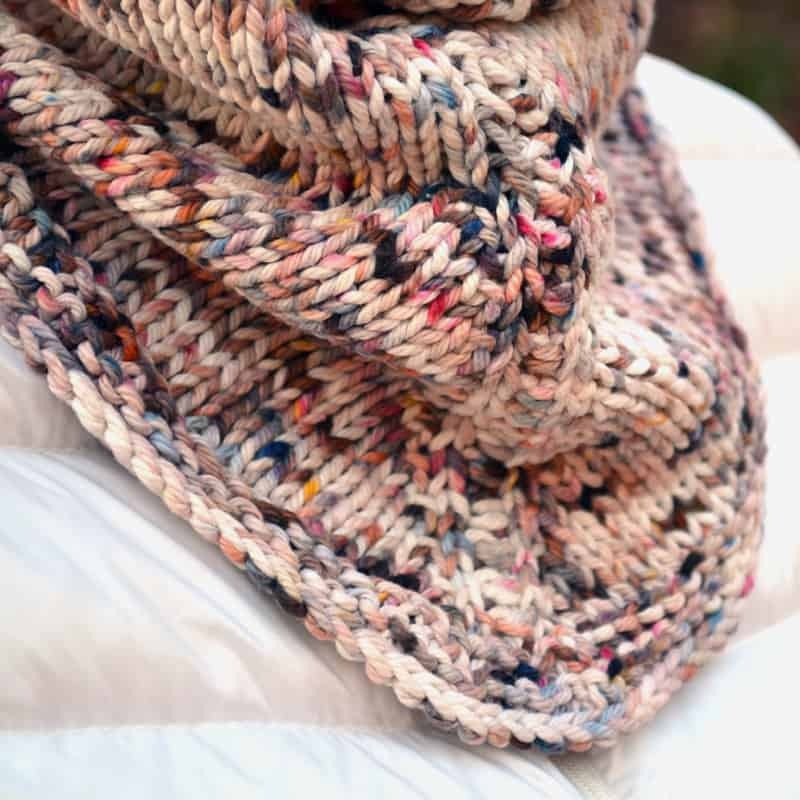 Knitting with bulky yarn completes this design before the first snowflakes cumulate upon the ground outside your window. The tech edited and test knit pattern is fully written. Suggested skills: working in the round, knit, purl, increase, decrease, short rows. 22”/ 56cm around by 7”/ 18cm deep in back and 11”/ 28cm deep in front. 15 sts and 22 rows over 4”/ 10cm in Stockinette stitch. Note: exact gauge is not critical to this design. Gauge variations may impact final size and yardage requirements. 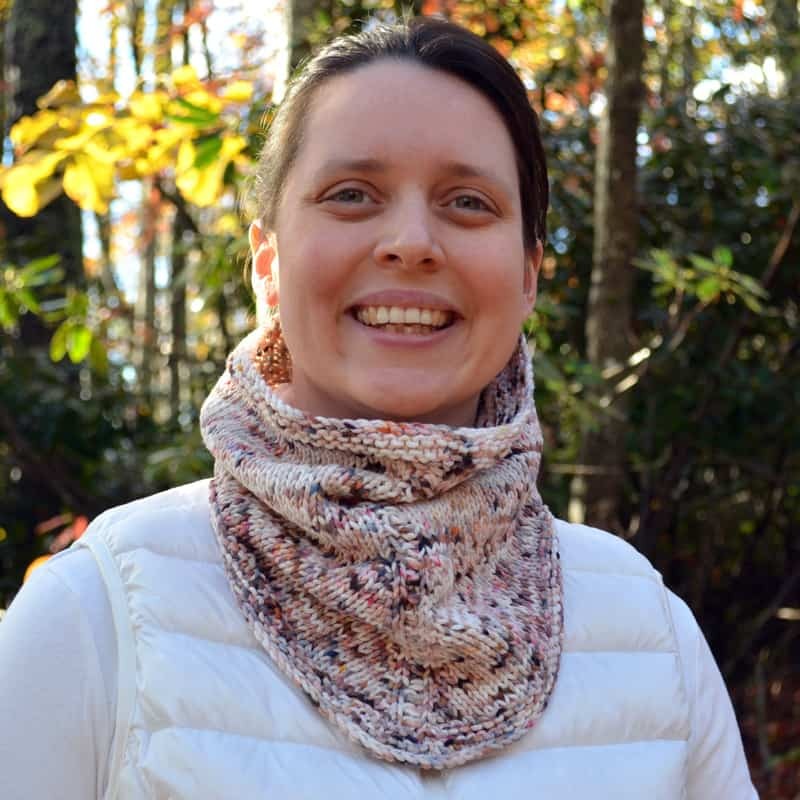 • An easy stitch detail in the back enables this cowl to easily fit over the head and provides much needed structure so the organic cotton yarn doesn’t collapse around the base of the neck. • The center front detail alters the stitch count every other round. On odd number rounds the stitch count decreases by 2 stitches and on even number rounds the stitch count increases by 2 stitches, yielding a net 0 stitch count change every 2 rounds of “in the round” work. • When decreasing a stitch with a wrap, pick up the wrap and incorporate it into the decrease, but do not count it as a stitch. For instance if it is an p2tog, you’ll have 2 sts plus the wrap (so it will appear to be 3) that are purled together. 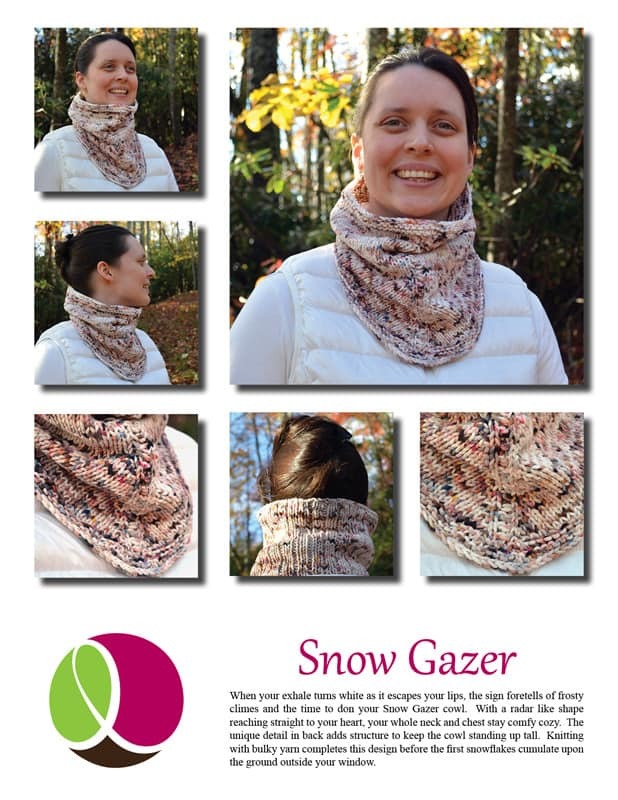 • Interested in both the cowl & headband? Head over to Ravelry for a special bundle sale. Full details on Ravelry pattern page.